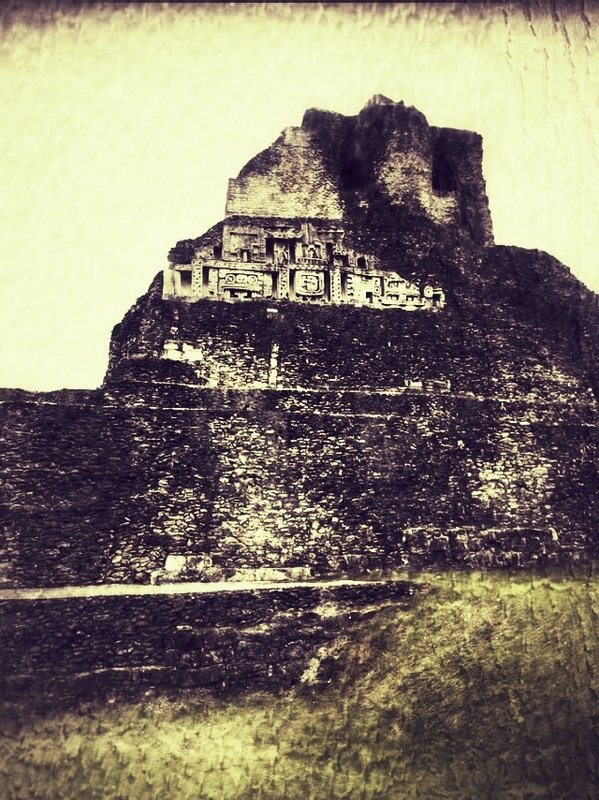 So, this year will be my second time back to Belize but my first time exploring some of the ruins that we haven’t had the chance to venture to yet. I’m excited for new opportunities and even more excited to revisit some of the places I thought I had grown so familiar with. I bring an Ipod Shuffle with me because I like to load and re-load my music pretty frequently. I don’t need hundreds and hundreds of songs on my player. They’re only $49 so if it gets lost or stolen, while heartbreaking, it won’t break your bank or wreak havoc on your budget. For this trip, I’ve been feeling pretty mellow with some South American influences and definitely some more upbeat tunes. 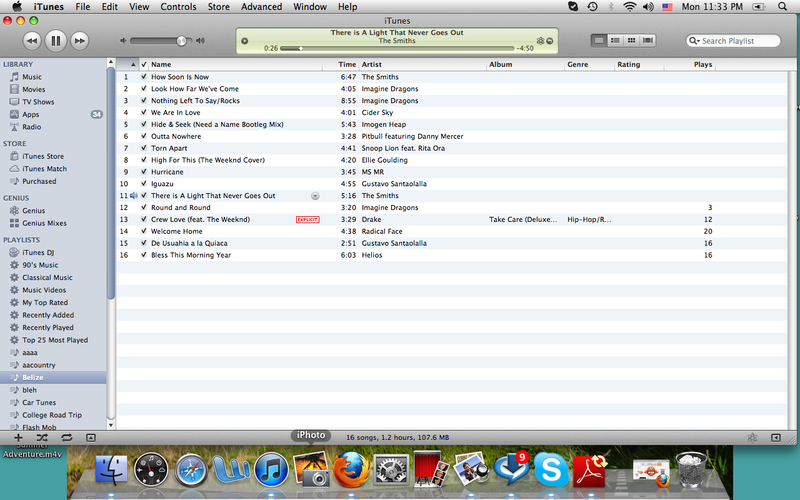 Here’s what my Belize 2013 Playlist looks like! Only two more weeks until I’m off on my next adventure and I have to say, I absolutely can’t wait. There’s so many things I want to try that I didn’t have the courage to try the first time and that got me thinking, is it better to visit somewhere twice? Are there things I would do differently if I had the chance to go back? Is that place better served as a memory as is? I know I will definitely go back to Ireland and take my time wandering that country but there are some places like Alaska that I feel I’ve seen most of. Although I know there are things to be done and sights to be seen, I feel content that I got the most from that place. If I were to go back, the magic I felt the first time might not be the same. We had spectacular weather for the week in Alaska, clear skies all day, every day. I think we had one “misty” day in Denali. That’s it. If I were to go back, fate would hand me severe weather and torrential downpours the entire stay. In Belize, I was pushed so far out of my comfort zone the first time that I’m wanting to take more risks this time. I want to go cliff jumping, I want to snorkel with the sharks, I want to free-dive, I want to get a closer shot of the howler monkeys that live within the ancient ruins. As to whether or not I actually go through with all these things will remain a mystery until I get there but, I’m hoping that I take those chances and open myself up for new opportunities. Buffs are awesome. I’m just gonna put that out there. They’re literally so useful and they’ve saved my sanity more times than I can count. While in Belize, I stayed in rooms that had thatch roofs. Now, I had heard that there MIGHT be thatch spiders and thatch cockroaches but we probably wouldn’t see any. Wrong. Every night, I felt like I had to sleep with one eye open because I would stare above me in horror at the palm sized spiders weaving in and out between the cracks in the thatch. The cockroaches would scurry on the wood beams and disappear into the black darkness above me. It was terrifying. That’s where my buff would come in. I would sleep with it covering my eyes, ears, nose, mouth, everything. I didn’t want any creepy crawlies thinking any of my orifices were a good place to take a rest. No thanks. I actually own two different buffs. One is from the TV show Survivor that my parents got me when I was about 11 and I had never really had any uses for it until I started traveling. My other one I recently purchased because it’s a little more appropriate and plain-looking. You can get it here. It’s a green pattern but both are exactly the same size, same material, same thickness. Since I’m leaving in three weeks, I’ve started making packing lists in my head and buffs are definitely at the top of them. I’m a college student. I love to travel. So naturally, I took advantage of the study abroad programs offered at my college. There’s about 9 to choose from, ranging from places like Costa Rica to Ireland. Every trip has a course tied to it that you take while in country. I’ve been on two and will be going on my third in three weeks time. The first study abroad trip I went on was to Derry, Ireland. I left in early May of 2012 and spent 15 days in country for the class. 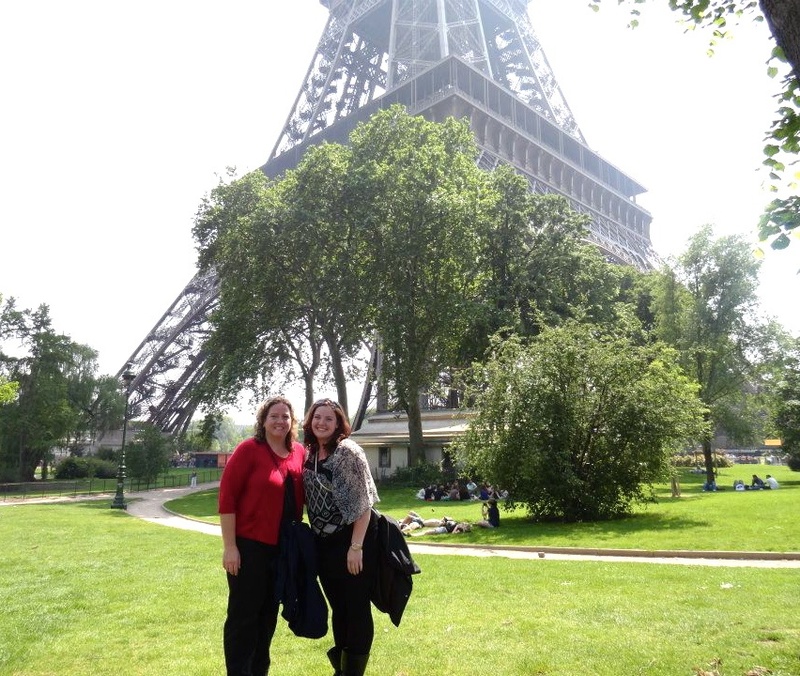 I then stayed a week and a half later traveling on my own and then my mom met me for a trip to London and Paris. Let me say this; I LOVED my study abroad experience. Granted, every college is different and every trip within that college is different but I have yet to experience or even hear of a trip that wasn’t amazing. 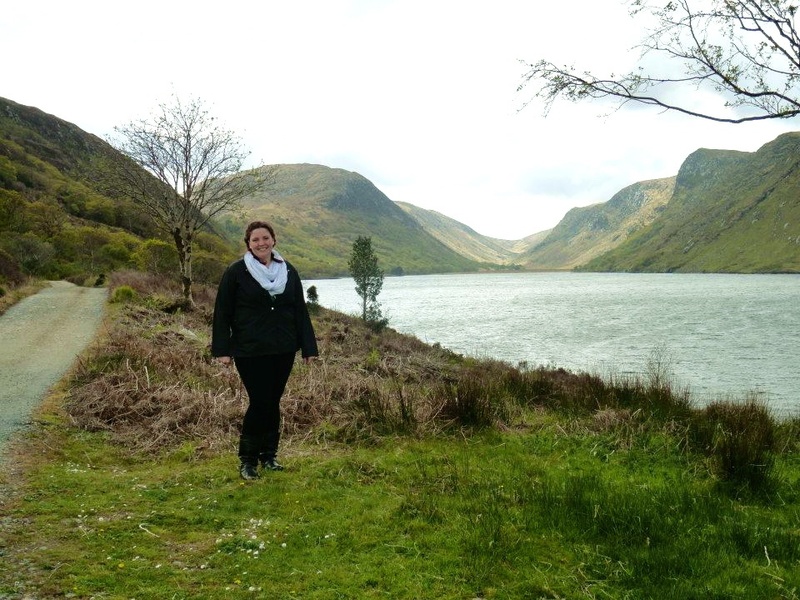 Ireland was fantastic, a place I’ve always wanted to visit and the group that ended up going was 14 girls. Nuts. We all had serious apprehension before leaving but it was actually one of the better experiences of my life. We grew to be very close, albeit a few cat fights, and actually still keep in very close contact to this day. 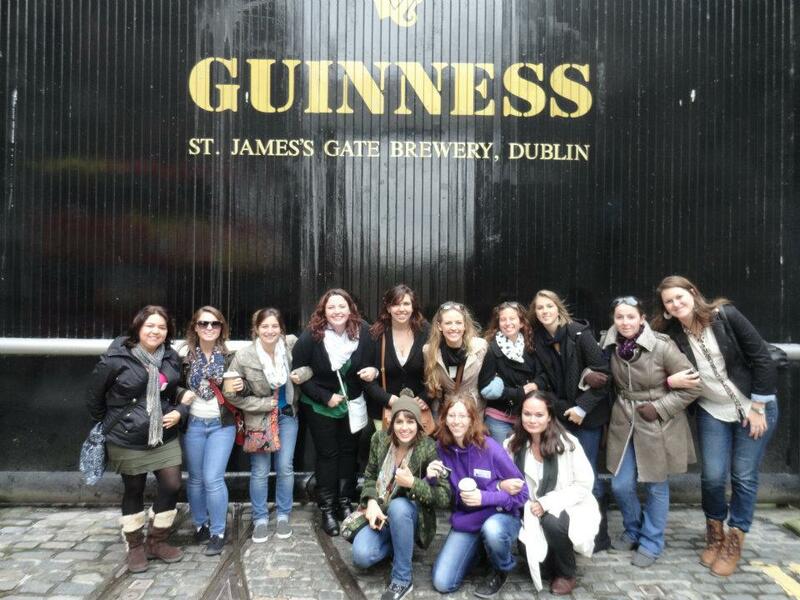 Two of the girls I went to Ireland with are now some of my best “traveling buddies”. The way in which the trip was set up was easy to understand. We stayed at a local bed and breakfast, went to class three times a week for four hours a day and then had the rest of our nights free. We had planned “excursions” to places like Giant’s Causeway, Bushmills Whiskey Distillery, Belfast and the Titanic Museum, and only one guided tour of the city (thank goodness). What was awesome about this planned trips was that we were still able to see things as tourists even though we were there for school. It also allowed gave us more of Ireland for our money. Speaking of money; in total I spent $2300 for 15 days in Ireland. This included airfare, the program fee, food and souvenirs. The program fee included hotel, entrance fees, the cost of the class and transportation. Not too shabby. I mean, I’ve never claimed to be a “thrifty traveler” but I like to save money where I can. Yes, I could have traveled throughout Ireland on my own for cheaper but I was gaining credits while abroad. I think that’s awesome. Ireland was awe-inspiring. The history was rich and the people seemed to have this unabashed pride for their country. The greenness of it all is almost overwhelming and there are times where you’re silent, for there are no words to accurately describe the beauty of this country. 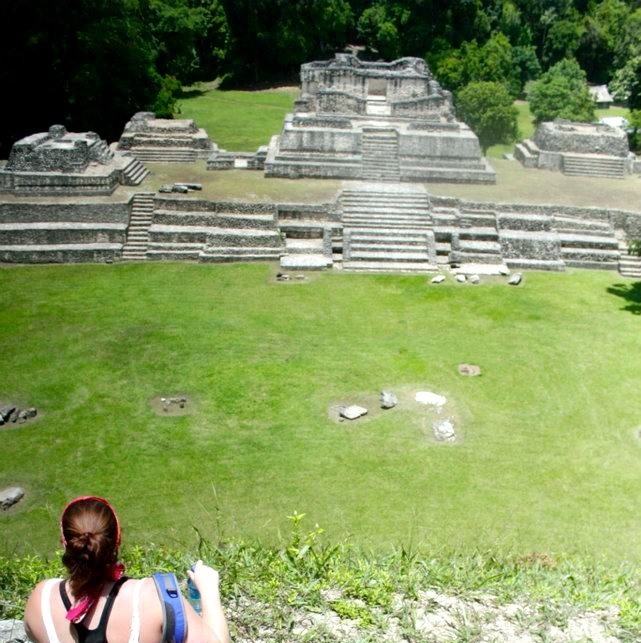 My next adventure was to Belize. Belize kind of fell in my lap. Two weeks before I left for Ireland, one of my professors told me about a scholarship they were giving away to go study abroad in Belize. I figured why not and filled out an application. As luck would have it, I won. All expenses paid (minus airfare) to Belize. SWEET. So, a month and a half after I got back from Ireland, I began the paperwork for Belize and left two weeks later. Belize was a complete 180 from Ireland. I frequently get asked about which trip I liked better and there is literally no way to compare the two. 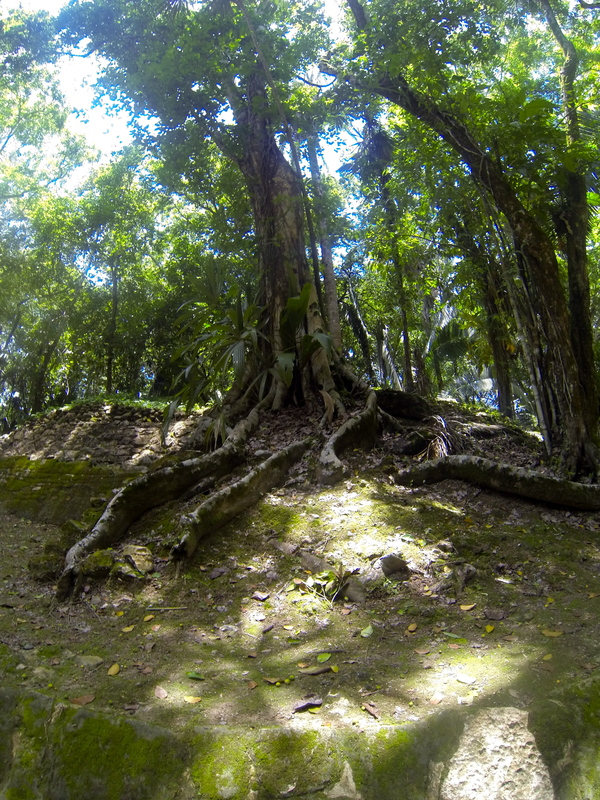 Belize was a different world. 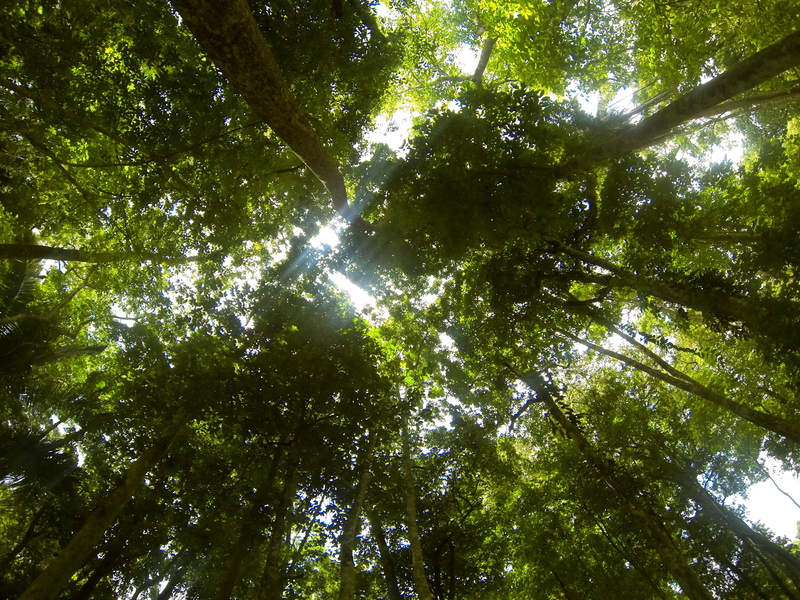 Humid and jungle and animals and no air conditioning and true adventure. It was perfect. We arrived in Belize City and ran at about 100 mph for the next 15 days. We saw Guatemala, we saw Mayan ruins of all kinds, we stayed in local villages, we went spelunking in an ancient Mayan Offering cave, we jumped from cliffs and rode waterfalls. The class for this trip was Tropical Ecology and instead of sitting in a classroom for a few hours a day we would go into the jungle and learn from locals how different plants interacted with the environment, their medicinal uses, their spiritual properties. All of it. So if you’re a hands on learner, look for a trip like this. I can honestly say, wholeheartedly, these trips changed my life. They opened my eyes to the endless possibilities that the world offers us that we’re sometimes too afraid to take advantage of. We’re in this world that most people know very little about and studying abroad gave me a chance to completely shift my world view. If you’re thinking about going, do it. I will forever be grateful I went and I will always value the memories that I have from my time studying abroad. I like to think of myself as knowledgeable when it comes to different genres of music and truth be told, I’m an absolute music junkie but sometimes when I’m getting ready for a trip and I’m loading my iPod up, I have no idea what to put on there. Country? Too twangy. Rap? Too much. Classical? Too soft. What I’ve realized is that your playlist almost decides what kind of trip you’re about to embark on and that it can make the getaway that much better if done properly. Like when I went to Ireland, I had an iPod Shuffle and loaded it up with Of Monsters and Men, Mumford and Sons, classic Irish music and some lighter country. It was perfect. Those long drives through the rolling green hills was almost like a movie with the music behind it. Looking back on that trip, I was very contemplative, very in the now, very centered. I recommend “Love, Love, Love” by Of Monsters and Men as well as their song “Lakehouse”. The Civil Wars have a creepy, hauntingly beautiful sound that adds so much character to the sights you’ll visit. On the same token, while in Belize I took a lot of newer alternative-y, pop-y, rock. Think Imagine Dragons, Kate Herzig, and the like. I also took a lot of beach music with songs from Bob Marley, Jimmy Buffet, Kenny Chesney’s later stuff such as “Pirate Flag”. The trip had more of a laid back feel but also felt more upbeat thinking back. Getting ready for my trip in less than a month I’m racking my brain and scouring Pandora to find some new and interesting songs that really catch my attention. Right now I’m attracted to the Imagine Dragons radio as well as Radical Face radio. The song that’s currently on repeat is Gustavo Santaolalla’s “Motorcycle Diaries”. I think the playlist is a crucial item in your packing list and I’m always open for ideas on new songs as well as new adventures. As my trip to Belize draws closer and closer (31 days!) I begin mentally packing. I do this with all of my trips, I begin a month out, mapping and planning what I could ever possibly need and start shopping for random items. Since I went last year and the itinerary is almost the same, I have a general idea of what I should be packing. We’ll land in Belize City and head straight to Orange Walk to see the Lamanai ruins of the north. I’ve never been there so I’m excited to see what it entails. From the pictures I’ve mercilessly googled it looks beautiful. 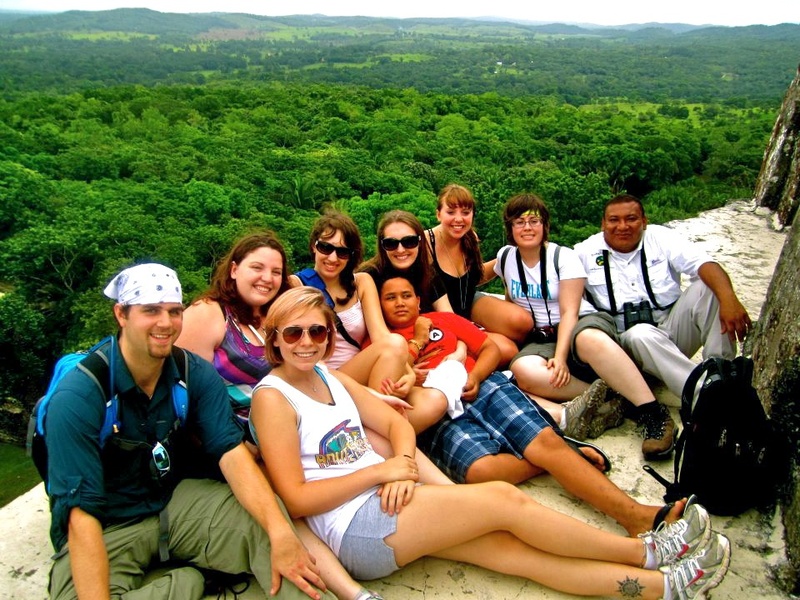 From Orange Walk we will meander to San Ignacio and stay there for 6 nights. I really love the area of San Ignacio and can’t wait to go back. The time I spent here last year was life changing for me. I stayed with a local family and got slapped in the face with reality of how a majority of our earth makes it day by day and how little they need to be so incredibly happy. I’m envious and I’m striving everyday to be more like them. The “things” in life that we seem to need are so unnecessary. From Hopkins, our final stop will be Caye Caulker, a small island next to San Pedro. The Cayes in Belize all have different personalities. San Pedro is the main island and can sometimes be over run by tourists, Ambergris Caye is beautiful but the hotels can be very pricey, leading to a more affluent clientel. Caye Caulker is home to students and budget travelers, just my cup of tea. Caye Caulker is less than a mile long island lined with small shops and restaurants that give you a glimpse of it’s diverse population and history. The bars are a-plenty and all have a daily happy hour that runs from 4-7pm. I stayed at Tropical Paradise which is on the south end of the island; the rooms are just enough but be sure to ask for air conditioning. With all that being said, the packing list will need to fit a smaller luggage (I’ll have to carry it from place to place to place) and a carry-on bag. I’m notorious for bringing a backpack as my carry on, it’s versatile and so useful once in country. My backpack is a California Pak which was around $40. I love it because it’s super useful and there are a TON of pockets. My luggage is a standard Samsonite. I like it because it’s literally the perfect size. I’ve taken it with me when I’ve been gone for a month and I’ve taken it with me when I’ve been gone for a short 5 days. Get it here. Here is a video of how it all comes together! I'm Stephanee. I'm 26, a former travel agent who got tired of selling trips to others and decided to start taking trips of my own. I'm traveling as far and as often as I can. Just finished working at the foot of Desolation Wilderness in Lake Tahoe, California and am now in Raymond, Maine! Travel Along With My Adventures! I got to ride in an aerobatic plane and squealed basically the entire time. You could say it was a good weekend. I found these two hobos on the side of the road and took them in for a night.